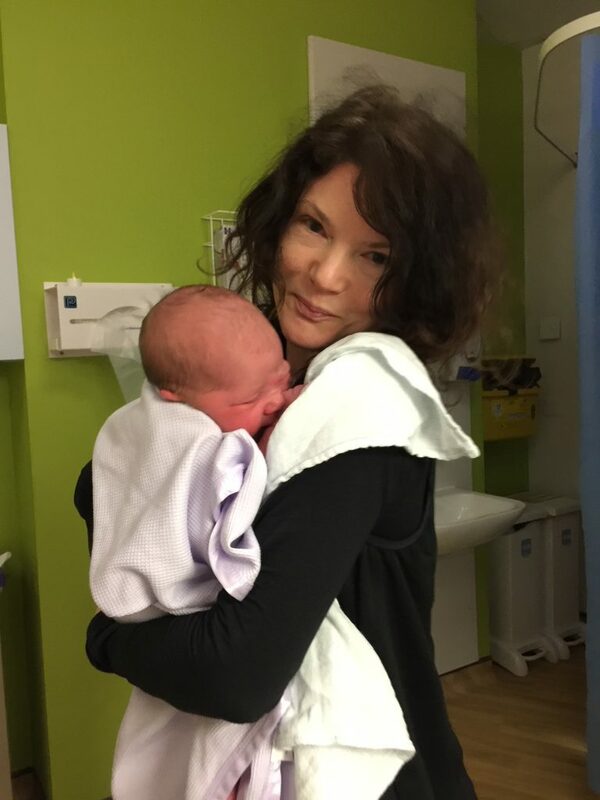 I started writing Nancy’s Birth Story when she was a week old, and now she’s 6 and half weeks – how time flies. So, my final thing to do before the year is out is to finish this baby delivery story—so help me!! 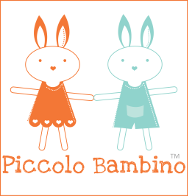 Back on 14th November (the last time I blogged! 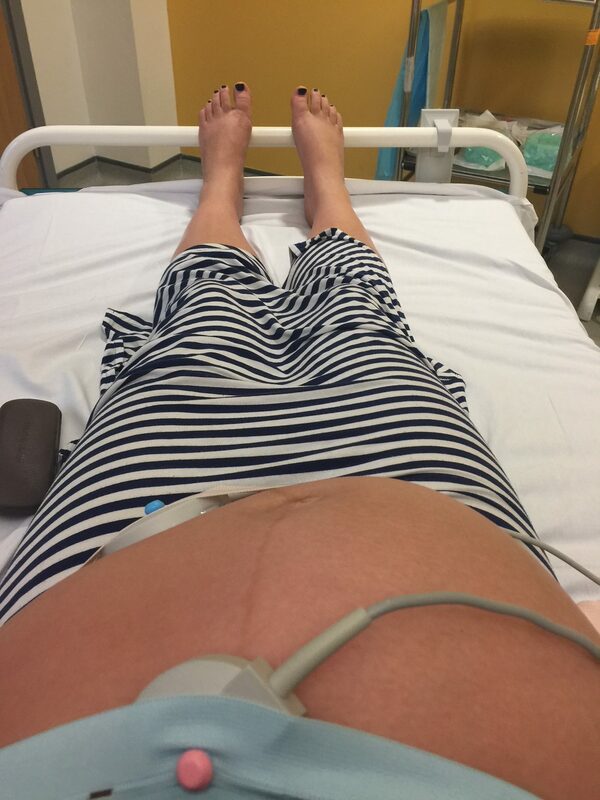 ), I was 41 weeks pregnant, and I was just about to head into Cramlington for a scan. I’d been feeling less and less of the baby, and with being overdue, I guess I was more panicky. 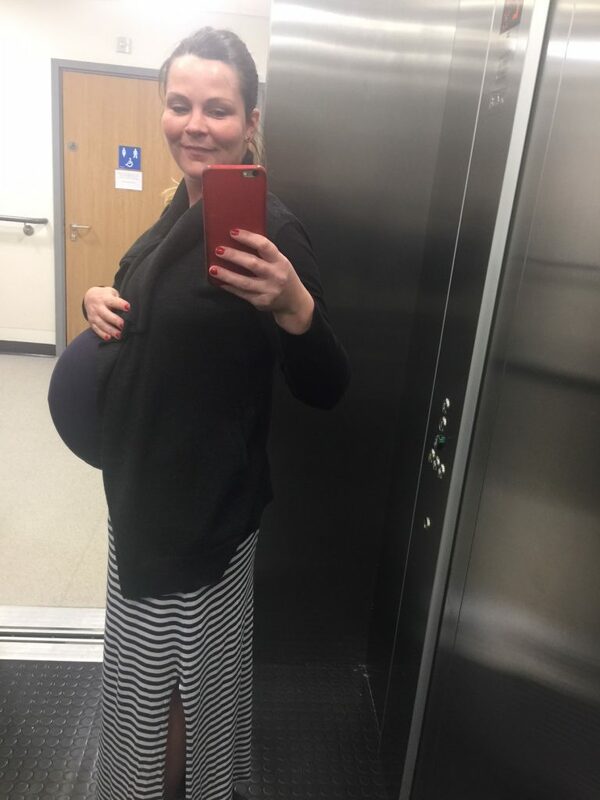 On the way for my scan – this is the last photo of my bump that I took! The scan was all fine and after more monitoring (also fine), I saw the doctor (basically a 12-year-old boy) who, because I was overdue and experiencing reduced movement, offered to move forward my induction from Saturday to that evening at 6pm. I said yes, then cried as soon as I left. Both fears after last time! After I was sent away at 3pm, feeling highly emotional, I drove home listening to my birth affirmations to calm me down. 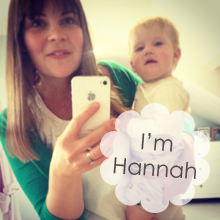 By the time I got home I was feeling much more upbeat and excited to meet our baby. I needed to get everything ready for the kids who were getting picked up by Mike’s parents at 5pm, and collect all the things I wanted in the hospital with me. My bag was mostly packed it was just the last minute things like my makeup bag, laptop and device chargers. The house was chock-a-block with builders as usual, and once home I had a surreal moment where I was simultaneously discussing the broken boiler with the plumber while trying to pack in record time – life as we knew it about to change FOREVER, but problems with the boiler help to keep your feet on the ground! Mike came to get me around 4:45pm; then we headed to school to see the kids and let them know their baby brother or sister was on its way and do the handover. I found myself getting emotional all over again as we said goodbye to them as apprehension kicked in…what would the next 24 hours bring? And would everything be ok?? A quick stop at the takeaway pizza place (we were starving and needed sustenance of some kind!!) and then we were off to Cramlington. We were both feeling excited by this point and chatted about names since we still hadn’t decided. I messaged my friend, Jeannie, who was also going to be my birth partner. Reuben’s birth was so long; I had decided I wanted a couple of birth partners so they could tag team if necessary. Jeannie had been with me every step of the way while prepping for birth – she came to my hypnobirthing classes, with the lovely Shona from Empowered Hypnobirthing, and had busied herself in the weeks leading up to the birth with making sure she had a fun playlist (which her husband Kieran kindly put together for me), tropical twist Fanta (something I imagined drinking in labour when I was visualising the perfect birth! ), and fruit and yogurt in her camper-van for when I needed it. When we got there, we went up to the delivery suite, and I was shown straight to my room. This was the room I’d be in from start to finish, so I was already feeling better. 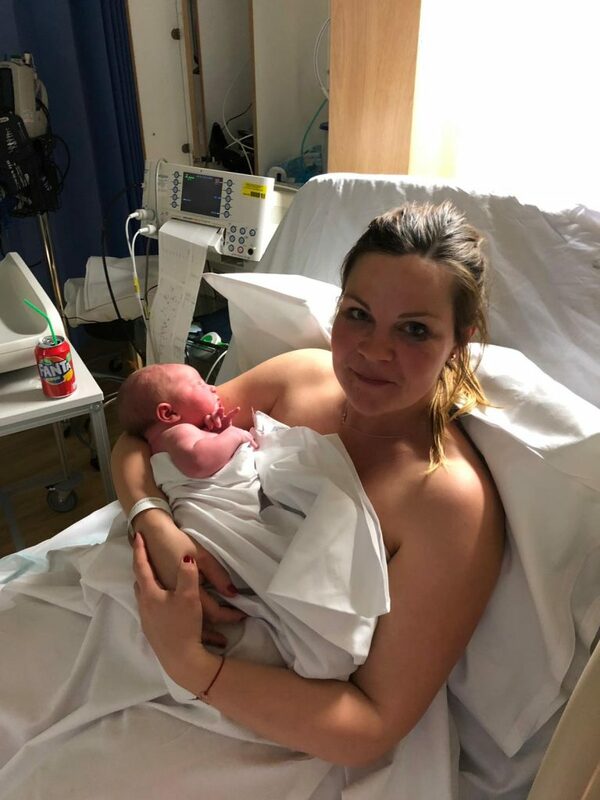 One of my previous fears about giving birth was having to travel – I’d had to go to the hospital multiple times when in labour with Reuben and kept getting sent home. I HATED travelling in the car in labour!!! After some checks and another scan, they then put the pessary in, and we were left to it. Mike immediately passed out – like he was prepping for war. Jeannie arrived soon after, so we went for a walk and put the roof up in her van ready for the disco! She prepped me some pineapple while I danced about to Beyoncé and other classic bump shakers. We had such a laugh! By 11pm I figured I ought to go back to the room to rest as I’d been warned it could take up to 24 hours before anything even started to happen. I laid down listening to my ‘fear release’ hypnobirthing and dozed a little, by about 1am I was starting to feel a little uncomfortable with some cramping but also a little impatient. I decided I’d put on a TV program (Parks and Recreation has been my absolute favourite throughout this pregnancy, and I watched three seasons back to back in the first few weeks of Nancy’s life while feeding!) and bounce on the birthing ball. I sat on the ball, and after about two bounces my waters went. Boing. Boing. Splat. It was 1:45am. I hadn’t managed even to get the show started! I waddled to the bathroom and removed all my lower half. I sat for a minute. Now what? From experience, my waters going meant jack-all. I called to Mike to say my waters had gone and he sprang to action. And this was his moment to shine because he was terrific! He was with me every step of the way, giving me sips of Fanta and encouraging me and shutting up when I needed him to. That nap (and Shona’s hypnobirthing classes) clearly did him some good. As soon as I came out of the bathroom, the contractions started. Slowly at first, but within 30 mins they were a minute apart. I thought about calling Jeannie at this point to let her know, but I was already naked from the waist down! Plus, things felt like they were happening quite quickly and Mike was being great. 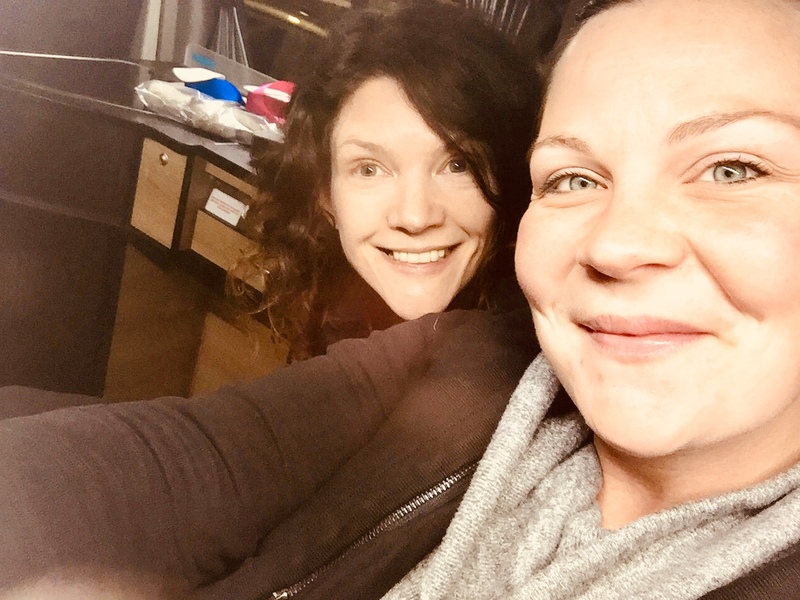 We discussed telling the midwife. Did we need to bother her yet? I decided after a few more intense surges, around 15 mins after my waters had gone, that I would let her know. She came to see me and didn’t leave the room until the baby was born. 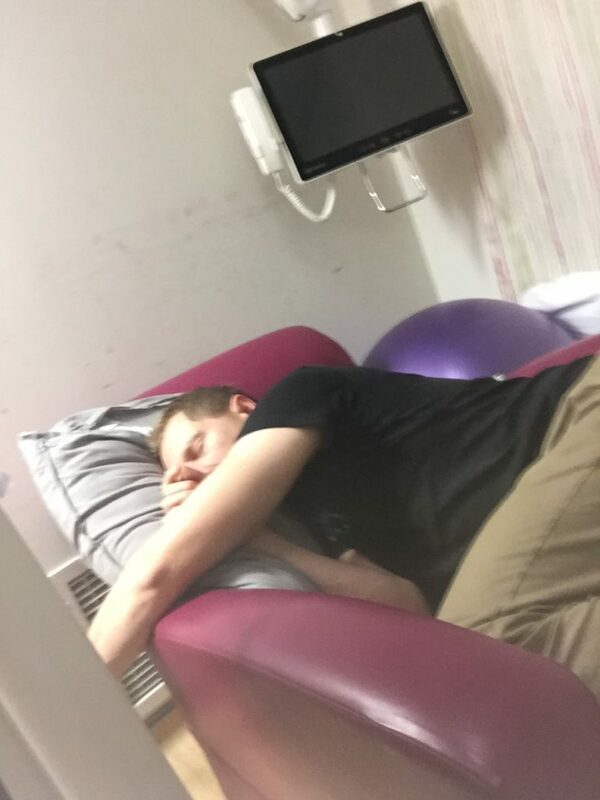 I didn’t want to lie down, so she hooked me up to the monitoring machine while I stood. The baby was nice and calm, with a perfect heart rate throughout. Around 2:30am she asked me if I wanted to be checked to see how far along I was. I did, and I didn’t. The contractions were feeling intense so I didn’t want to find out I was 2cm! After about three attempts to lie down in-between contractions (I couldn’t bear to be on my back) during one, she was finally able to tell me I was 5cm. Hurrah! Give me some drugs, please. My earth mother thoughts of a drug-free birth went out the window the minute I knew I was going to be induced. Around 3am the surges turned pushy and weird. I had a wobble, and this was getting hard. Please, can I have some stronger drugs?! She asked me to hold on and if I was feeling the urge to push as my waters splatted on the floor. Yep! She was worried the baby was going to fall on the floor, so after a couple more contractions she got me on the bed on all fours leaning on the back of the bed, which had been raised. Mike stood on the other side of the bed, whispering words of encouragement. At this point, I remember using the affirmations I’d listened to over and over again to prepare for the birth. As each surge came, I would think about breathing love down to my baby and surrounding it with oxygen to help it come out. The urge to push got stronger and I had another wobble. I can’t do this, please can I have some drugs??? Each time I had a wobble I remember thinking, ‘Perhaps this is the transition?’…but I had three wobbles! And when she checked me one last time I was still only 8cm despite the urge to push. The midwife told me that sometimes with second babies you can push your cervix open. It seems that’s what I did because about 15 minutes later, Nancy was born. The pushing bit was quite tough, not least because I was pushing before my cervix was ready. I don’t remember the pushing phase with Reuben because I’d had quite a bit of diamorphine. But I distinctly remember this time that burning feeling as she was crowning and having to keep pushing when I didn’t feel I had any more strength. 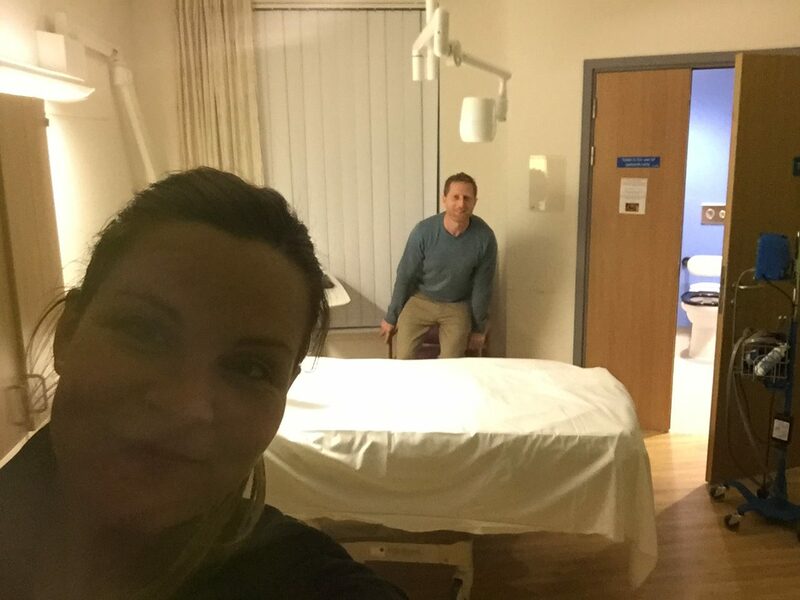 But between Mike and the midwife’s encouragement, I did keep pushing. During each pause, Mike would give me a sip of Fanta. I knew it would see me through! 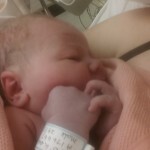 It took all my strength and a little bit more, and at 3:31am on 15th November my baby girl was born. The bed must have been utter carnage as every push seemed to release more water. But, still on all fours and in amongst the chaos that I didn’t even notice. I was passed my baby—I had no energy left, but I remember looking to see what she was. Mike and I both had a feeling she might have been, but I still couldn’t believe it. A perfect little girl. I turned over to lay down with what little strength I had left, and we laid there, exhausted, for what seemed like ages. I don’t know what anyone else was doing – probably cleaning up! – I couldn’t even tell you if I had a blanket on me. 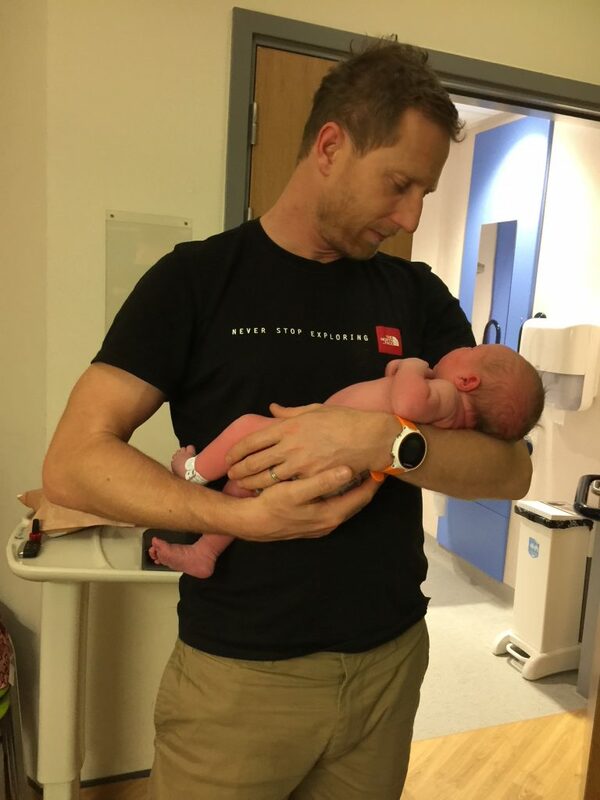 I was happy but spent, only just able to hold her whilst taking her in. Oh and I remember a push for the placenta and the midwife saying “don’t push yet” but I didn’t have a choice, my body did it all on its own! After that Mike had some skin-to-skin time with Nancy while I was stitched up. 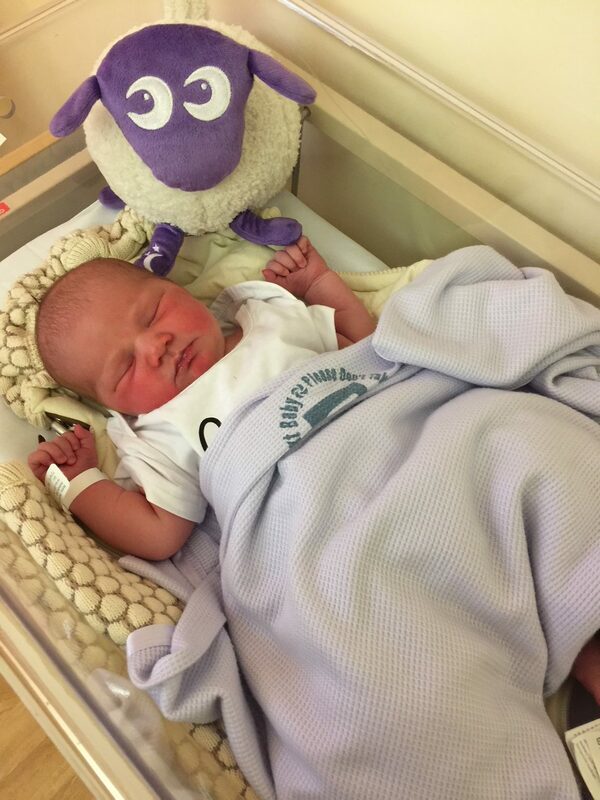 I had a little tear in the same place I’d had my episiotomy with Reuben, and those needles before were stingy!! Nothing I couldn’t handle though. I’d done it! We had done it. All those months of positive thinking even when I was scared, they had paid off. My bits may have felt like they were inside out for a day or so, but I had safely and calmly (sort of!) brought my baby girl into the world. I felt amazing. Around 5am we messaged our family to let them know the good news. I knew my parents, my mum, in particular, would have been sleeping badly waiting to hear the news – so I figured they’d rather know sooner than later that all was ok.
And then I remembered Jeannie! I felt terrible that she’d gone to all the effort of classes and coming out to Cramlington to sleep in her van only to miss the action. In reality, the birthing process was in 2 parts. The pushy bit was part two but just as important was the beginning—the bit where Mike rested while Jeannie kept my spirits up and got my Oxytocin flowing. 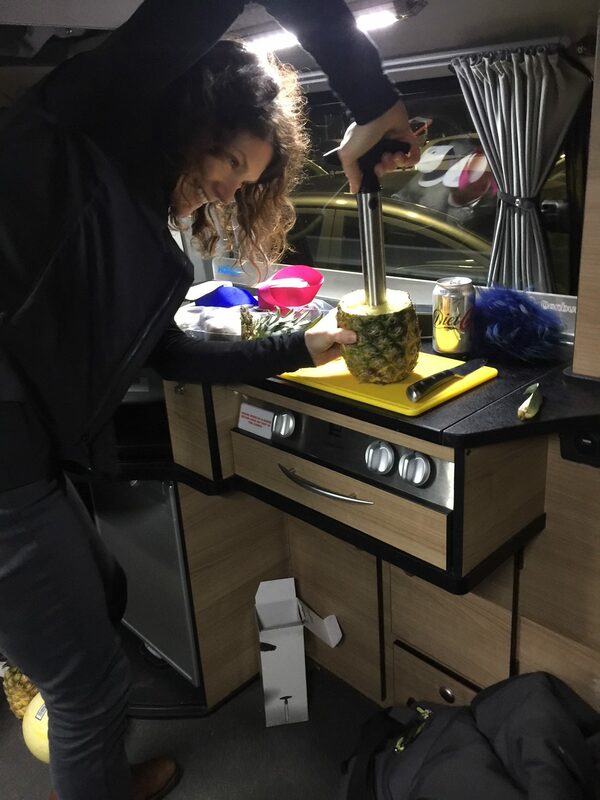 I felt very cared for in her van listening to happy tunes while she fed me pineapple. She also put twinkly lights around the delivery room and made sure I had a large supply of Fruit Twist Fanta! 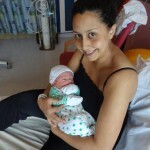 I think that definitely helped with kick-starting this super quick baby delivery! Jeannie came up to see us as soon as she woke up to the news and made me a delicious breakfast of fruit, nuts and natural yogurt. It was amazing. And when Mike went home to sort out something to do with the builders and get Nancy’s car seat (we didn’t think we’d be moving so soon! ), I snoozed while Jeannie had baby cuddles. By midday, we were released so I could go to Hexham hospital to stay there a few days. I’d wanted to stay as long as possible, what with having the builders in, but also because I’d heard such wonderful things about it. I wanted to have the chance to properly establish breastfeeding with their support and have a little bonding time before heading back to the chaos at my house! I had two lovely days in Hexham; the staff were wonderful and so caring. I had loads of support with trying to get her to latch right and getting her settled so I could rest. Unfortunately, my stay was cut short by a less nurturing midwife, who I hadn’t met before and more or less asked me to leave. I guess they must be under pressure to keep costs down, but as the only person on the ward, I didn’t feel I was being that much trouble and still didn’t feel very confident with feeding her. Feeding was very painful, and I didn’t think Nancy had her position just right yet. Nonetheless, at 6pm on Saturday night I went home – and despite the tears (my milk was just coming in so there were hormones a-raging! ), it was lovely to be back with my boys (Gabby was at her mum’s) and start this new stage in our lives.